A squire may be secondary to a knight, but that does not mean that they are not crucial figures, just as a short sword is a vital secondary weapon. 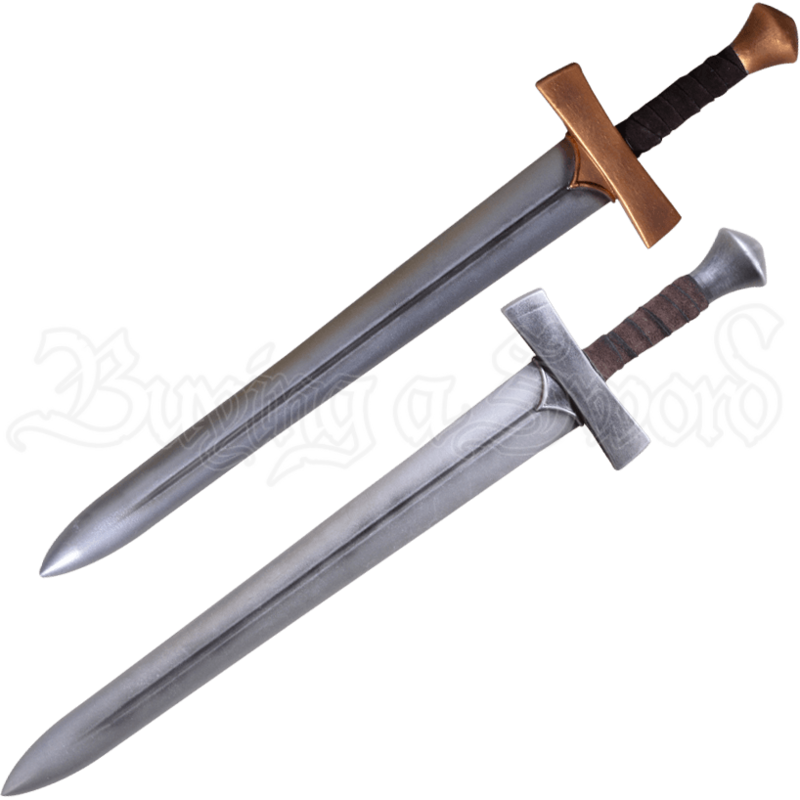 Arm your knight or squire character for battle with the Norrick LARP Short Sword. This LARP weapon is made from a specially designed latex-free, injection-molded foam with a strong fiberglass core. This core makes it especially durable as well as flexible without rendering it unsafe for use in LARPing, theater, staged events, and more. This sword, which comes in either steel or gold color options, features the classic medieval design, complete with a narrow fuller, a straight crossguard, and a scent-stopper pommel. The handle is wrapped in leather, making gripping easy. 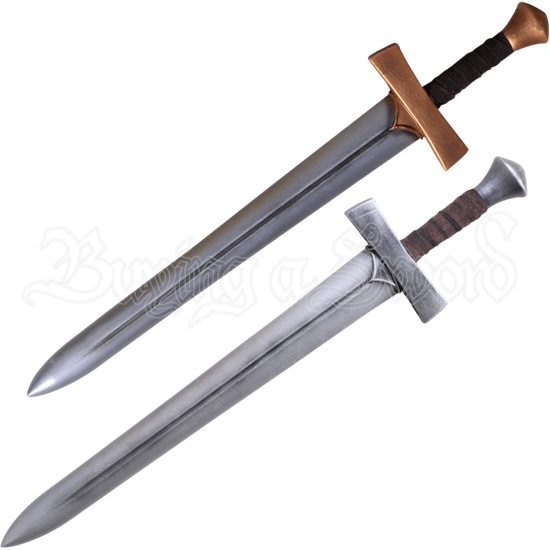 The Norrick LARP Short Sword makes a fantastic weapon for any medieval warrior and is sure to serve you well in your next LARP.